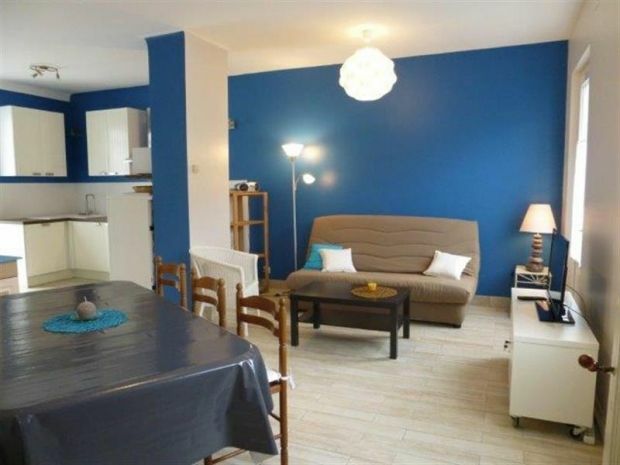 This detached property is just 150m from the beach and 200m from shops in a nice residential area of Royan. With: Entrance hall. Living room (flat screen TV, sofa bed of 140) opening out to the large south east facing terrace. Kitchen (4 ring ceramic hob, fridge, extractor, microwave, dishwasher). Shower room and WC. Cellar with w.machine. Upstairs: Bedroom 1 : double bed of 140. Bedroom 2: Twin room with two single beds of 90. WC with hand basin. OUTDOOR FURNITURE FOR TERRACE - SLEEPS 6. The Parc district is located on the edge of Grande-Conche beach (sandy beach of about 3 kilometers) in the eastern part of the city which was long a desert area occupied by an important dune massif. Imposing villas succeeded the modest cottages, and the district gradually became the rendezvous of high society. Today we find most of the shops and a covered market. This district is dominated by two monuments: the Emile Zola College and the Church of Our Lady of the Assumption, a modernist building built in the 1950s. Nearby is a small public garden with a playground for children, a mini golf, pelota pelota court and the beach.